“The Chicken Rice Shop” (TCRS) is a chain of HALAL family restaurants operated by TCRS Restaurants Sdn Bhd, a company incorporated in Malaysia. TCRS is a quick service restaurant that provides the customer a comfortably cozy environment to dine in as well as convenient take away services for those on the go. We pride ourselves in providing friendly quick service for all our customers. The Chicken Rice Shop also provides catering services for special occasions. On 18th June 2000, the first restaurant of "The Chicken Rice Shop" was opened and the response was overwhelming. Today, there are 74 TCRS restaurants in Peninsula Malaysia; 2 in Kota Kinabalu, Sabah, 1 in Miri and 2 in Singapore. The Chicken Rice Shop is represented in most, if not all of the major shopping complexes in Klang Valley. With grandmother’s traditional secret Hainanese chicken rice recipe brought down from generations and maternal gradmother’s treasured recipe from Penang, the best of both grandmothers’ recipes were perfected and introduced into the menu. With the infusion of modern management, processes, technology and strategic marketing, TCRS is confident that a truly Malaysian quick service restaurant chain can be established with the prospects of taking it to the world. 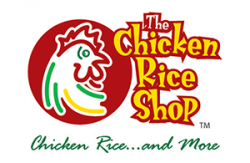 "The Chicken Rice Shop" is a quick service restaurant that provides the customer a comfortably cozy environment to dine in as well as convenient take away services for those on the go. We pride ourselves in providing friendly quick service for all our customers. The Chicken Rice Shop also provides catering services for special occasions. As our name suggests, "The Chicken Rice Shop" serves traditionally prepared steamed, roasted, honey barbecued or braised chicken as its signature products. These signature dishes are served with fluffy chicken flavored rice cooked to perfection from a recipe passed down through the generations, originating from Hainan Island. Our signature appetizer, Pai Tee or Top Hats is a popular treat for our customers. It is made up of dainty pastry shells filled with shredded vegetables and chicken meat accompanied by a tangy sweet sour sauce. This is further complimented by a choice of four oyster sauce based vegetable dishes. These vegetables are lightly blanched to retain its natural flavour and topped with crunchy fried shallots. As our tag line suggest, “Chicken Rice and More….” apart from our signature products mentioned above our menu features more than 25 other local favorites such as our Hainanese Curry Chicken, Spicy Mixed Vegetables, Stuffed Fish Balls and Hong Kong beef stew just to mention a few. Within our menu we have also packaged four different value meals to cater for different groups of customers and to give better value to customers. These value meals range from RM9.90 for a single person meal to meals for groups of 6 at RM69.90 Our R&D team has continuously over the years introduced innovative products and desserts to give our customers a more varied choice of delectable local dishes and to ensure that our customers have a new dining experience at The Chicken Rice Shop from time to time. Innovative products for special festive occasions such as Hari Raya Puasa , Chinese New Year and Christmas are also introduced to celebrate the respective festivities.